The Guardian of Secrets Cast. Celia Merrill, Peter Merrill’s daughter. Blue Ink – Debut novelist Jana Petken delivers a powerful family epic that chronicles the travels of a British woman and her family during the Spanish Civil War.Recently wedded, Celia Merrill Dobbs’ initial expectations of marital bliss quickly dissolve in 1912, when her husband Joseph reveals he has married her only to inherit her wealthy father’s prosperous farm in the English countryside. After Celia discovers that Joseph is her father’s killer, she and their newborn son Peter escape to Spain. In Spain, she lives with the Martinéz family, aristocratic landholders in Valencia. Celia becomes enamored with widower Ernesto Martinéz. They soon marry and raise their four children amid rising political tensions gripping the country. Petken masterfully moves the gripping action along by creating credible characters and suspenseful plot twists. Writing in a straightforward manner and infusing scenes with details that inform but don’t overwhelm, she portrays each of the characters’ efforts to survive while coming to terms both with the horrors of wartime and personal bouts with excessive pride and passion. Though the action is grounded in a particular time and place, the novel’s concerns are universal, as typified when Celia’s daughter ruminates on whether Spain would eventually “look back and feel proud of a war that had killed hundreds of thousands…or would it feel as she did now, betrayed by men with selfish political ambitions and lust for power.” Despite its length, the captivating story succeeds brilliantly and becomes an unforgettable page-turner. This is a must-read for historical fiction fans. Kirkus Review – A dark debut novel about a woman’s escape from a life of abuse and her ensuing struggle. By all appearances, Celia Dobbs has everything a young Englishwoman in 1912 could want. She’s newly married to Joseph Dobbs, a handsome man with whom she’s besotted, and is the daughter of Peter Merrill, a wealthy man whose ownership of a vast farm ensures that Celia and Joseph will live well. But all is not as it seems: Joseph soon shows his true colors as a violent drunk with gambling debts, and he proves to be a severely abusive husband, flinging expletives and punches as swiftly as he once cast promises of love. His dark side takes on added horror when Celia learns that he’s responsible for the murder of her father. With the help of her aunt Marie, Celia and her newborn son escape from Kent to Spain, and Marie promises that she will see justice served while Celia’s away. Once in Spain, Celia meets a man named Ernesto and begins the next chapter of her life. After Joseph’s trial ends with a guilty verdict and order of execution, Marie decides to give Celia the dignity of being a widow instead of a divorcee, by destroying the divorce papers that would have freed Celia from her marriage. Only after Joseph escapes from prison does Marie begin to realize the extent of the damage she’s caused. Back in Spain, the novel details Celia’s recovery and her children’s developing lives, and they become key players in a tense, fast-paced story. The writing is often captivating, with a consistently engaging tone throughout, although the violent scenes are somewhat graphic and disturbing. Celia’s growth as a character truly sets this novel apart as more than a simple drama: It’s also a commentary on how strong a woman can become when facing adversity. 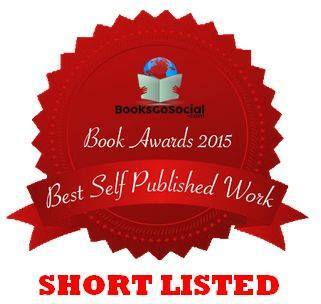 2016, Silver Medal, Europe Fiction, across all genres Award. The rich, vivid descriptions of each scene and surroundings, from England to Spain, are excellently portrayed and easy to visualize. 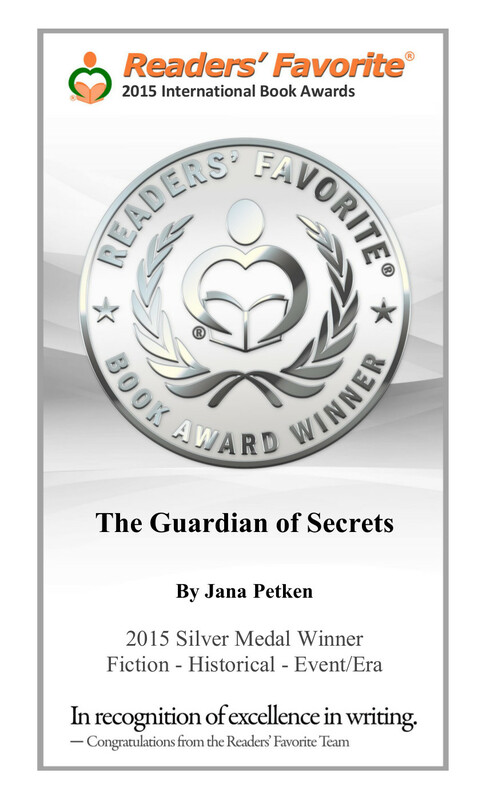 All in all, The Guardians of Secrets is a thrilling and engaging read. It will definitely please historical fiction fans. Have a listen to chapter 69.